Home Care Assistance Healthy Longevity Webinar Series: Sharing health knowledge. Promoting healthy lifestyle behaviors. Changing the way the world ages. At Home Care Assistance, we believe in empowering people to be proactive and informed when it comes to their health. Our Home Care Assistance Healthy Longevity Webinar Series brings experts from a diverse spectrum of health and wellness fields to our clients and the wider community in an engaging and informative format. The webinars are offered free to the public as part of our broader education initiative, through which we actively provide information and resources around topics related to aging, wellness and quality of life. The webinar was presented by Dr. Suzanne Steinbaum, attending cardiologist and Director of Women’s Heart Health at Lenox Hill Hospital in New York City, National Spokesperson for the American Heart Association’s Go Red Campaign, and author. Dr. Steinbaum discussed the issues surrounding women and heart disease, what heart disease is and what to do about it. 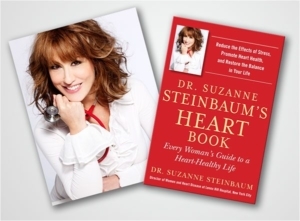 She also covered the lifestyle changes linked to heart health as presented in her recently-released book Dr. Suzanne Steinbaum’s Heart Book: Every Woman’s Guide to a Heart Healthy Life. Dr. Steinbaum has devoted her career to the treatment of heart disease through early detection, education, and prevention. She has done fellowship training in both Preventive Cardiology and Cardiology, and is currently a Fellow of the American College of Cardiology. Often cited in newspapers and magazines, such as Self, Glamour, More, Fitness, The Wall Street Journal and Family Circle, she has written on the topics of cardiac prevention and nutrition, and lectured nationally on the topics of coronary artery disease, women and heart disease, natural and alternative ways of treating heart disease, and the prevention of heart disease. Dr. Steinbaum is also regularly interviewed for breaking news in U.S. News and World Report, Healthday and WebMD, and featured on network news health segments for ABC, NBC, CBS, CNN and FOX as a leading consultant in the field of women and heart disease, preventive cardiology and topics of lifestyle management. She has been awarded a New York Times Super Doctor, and a Castle and Connolly Top Doctor for Cardiovascular Disease. 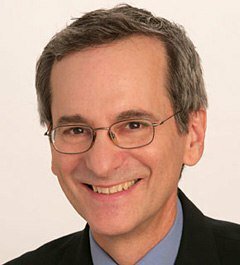 Dr. Steinbaum is currently the host of Focus on Health, a weekly magazine news show spotlighting health topics on WLNYTV, and a regular contributor to The Huffington Post, Dr. Oz, Bottomline Health and Sharecare. Her unique perspectives on health, wellness and overall vitality by living a heart-centered life can be found at www.srsheart.com. 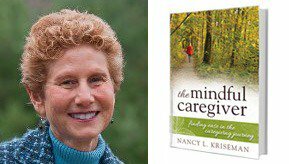 The webinar was presented by Nancy Kriseman, licensed clinical social worker and author. Nancy discussed how caregivers can prevent burnout and maximize wellness by becoming more self-aware. There was a special focus on how to help caregivers who struggle with unrealistic expectations and have difficulty letting go of how their loved ones used to be. Nancy has a Masters in Social Work, a Specialist in Aging Degree from the University of Michigan and a B.A. in Psychology from the University of Florida. As a licensed clinical social worker, Nancy has worked with older people and their families for more than 30 years. She is currently in private practice and presents workshops on caregiving and dementia across the country. As an adjunct faculty member at Kennesaw State University, she taught courses on aging, and death and dying. She has published two books, The Caring Spirit Approach to Eldercare: A Training Guide for Professionals and Families, which has won national awards from the American Society on Aging, Hunter College and National Council on Aging, and more recently, The Mindful Caregiver: Finding Ease in the Caregiving Journey. The webinar was presented by Carol Howell, Certified Dementia Specialist and best-selling author. 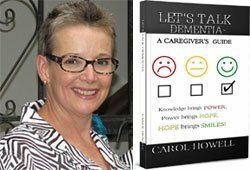 During the webinar, Carol discussed various forms of dementia and caregiving tips presented in her latest book, Let’s Talk Dementia – A Caregiver’s Guide, an Amazon #1 best-seller. A caregiver herself, Carol provided hands-on tips for coping with the challenges and emotions that come with caring for a loved one with dementia. After her husband’s closed-head injury in 1996 and her mother’s diagnosis of Alzheimer’s in 2006, Carol began her study of the brain and the various forms of dementia that exist. Through her company, Senior Life Journeys, she is actively involved in the lives of individuals who are caring for a loved one with dementia. 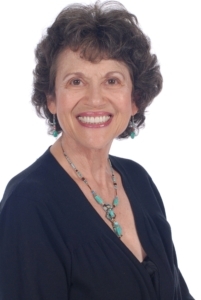 An Endorsed Music Therapy Coach, Carol works with dementia patients through Choral Music Therapy, Memory Music Therapy, and Hospice Music Therapy. She also wrote the best-seller If My Body Is A Temple, Why Am I Eating Doughnuts? 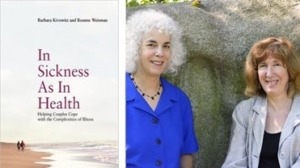 In observance of Family Caregivers month, the November webinar on the topic of caring for a loved one with a chronic illness was presented by Barbara Kivowitz and Roanne Weisman, co-authors of the book, In Sickness As In Health: Helping Couples Cope with the Complexities of Illness. Using personal experience, real families’ stories, and input from medical, legal and psychological experts, the co-authors shared practical guidance for family caregivers on navigating and balancing the medical and relational mazes that often develop when a loved one is diagnosed with a chronic illness. Though most of their research focuses on couples, the tips and insight they provided is applicable to all relationship dynamics. The September webinar was presented by Dr. Leslie Martin, professor at Loma Linda University’s School of Public Health and leading researcher on pathways to health and longevity. During the webinar, Dr. Martin discussed the psychological and behavioral correlation of healthy longevity presented in her latest book, The Longevity Project: Surprising Discoveries for Health and Long Life from the Landmark Eight-Decade Study, offering useful tips from which everyone can benefit. The book, co-authored by Dr. Howard Friedman, is based on the fascinating findings from a study that began in 1921 by Stanford University professor Dr. Lewis Terman and tracked 1500 men and women from childhood. Drs. Martin and Friedman, picked up the study 20 years ago, following remaining participants to the end of their lives to discover why some people thrive into old age while others fall ill and die prematurely. What is interesting is that many of the findings go against conventional health recommendations and intuition.Over the course of her career, Dr. Martin has published three dozen scientific papers and co-authored three books on health, behavior change and longevity. The June webinar on the topic of stroke prevention was presented by leading stroke neurologist and head of the Cleveland Clinic Stroke Program, Muhammad Shazam Hussain, MD. Dr. Hussain discussed opportunities for reducing the risk of stroke, identifying early warning signs of stroke in others, and best practices for stroke care. 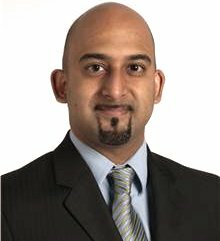 Dr. Hussain is an assistant professor of neurology at the Cleveland Clinic Lerner College of Medicine of Case Western Reserve University and director of the Cleveland Clinic Stroke Program. Appointed in 2010, Dr. Hussain’s leadership and expertise in the diagnosis, treatment and early rehabilitation of stroke patients contributed to the Cleveland Clinic’s receipt of the 2012 American Heart Association/American Stroke Association’s Get With the Guidelines® Stroke Gold Plus Performance Achievement Award. A Primary Stroke Center, the Cerebrovascular Center provides services that foster better outcomes for stroke care. Dr. Hussain’s specialties include acute stroke therapy, cerebrovascular conditions, and neuroimaging and he has authored nearly 100 published works. The January webinar in our Healthy Longevity Webinar Series was presented by New York Times best-selling author and world renowned memory expert Dr. Gary Small. The webinar covered Alzheimer’s disease prevention and brain health. The webinar will be held on January 24th at 11 AM Pacific, 2 PM Easternand will cover the topics of Alzheimer’s disease, healthy aging and lifestyle strategies that are linked with a reduced risk for dementia. Dr. Small is a professor of psychiatry at the UCLA Semel Institute and director at the Memory and Aging Research Center and the UCLA Center on Longevity. He is also an award-winning author, having published six books, including The New York Times best-seller, The Memory Bible, and The Alzheimer’s Prevention Program. For his work in the prevention of Alzheimer’s disease and brain aging, Scientific American Magazine named him one of the world’s leading innovators in science and technology. Dr. Small was also the recipient of the 2012 Kathy N. Johnson Award Achievement Award. Developed by Home Care Assistance to recognize leaders who are making meaningful and groundbreaking contributions in the areas of healthy longevity and aging, Dr. Small was honored with this award at the company’s Annual Convention for his innovative approach to Alzheimer’s prevention and care. In honor of Alzheimer’s Awareness Month, the September webinar in our Healthy Longevity Webinar Series featured renowned dementia expert Dr. Judith London. Dr. London is a licensed psychologist with over two decades of experience in the field of Alzheimer’s and related dementias and the author of Connecting the Dots: Breakthroughs in Communication as Alzheimer’s Advances. Dr. London has focused on the physical and mental manifestations of Alzheimer’s and dementia and best practices for family and professional caregivers to promote optimal quality of life. She also offered advice on understanding root causes of problematic behaviors common in adults with dementia and tips to improve outcomes. While caring for a loved one with Alzheimer’s can be a physically and emotionally trying experience, following Dr. London’s “ABC Approach” can equip caregivers with the knowledge and skills to provide the best possible environment for care recipients. The webinar was presented by Dr. Hoblyn, chief medical officer of eTherapi.com, which offers access to professional psychotherapy via online video conferencing for adults seeking to improve their emotional and mental wellbeing. Dr. Hoblyn is a psychiatrist with expertise in treating adults with mental health conditions. 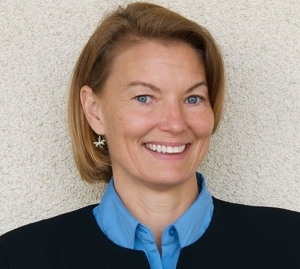 She currently oversees the Inpatient Mental Health Services at the Palo Alto VA and is on Faculty as an Assistant Professor of Psychiatry and Behavioral Sciences at Stanford University School of Medicine. Dr. Hoblyn also has a background in public health and is very committed to improving global access to mental health services for all. She has practiced in the US and Europe and has a comprehensive understanding of healthcare service delivery models. She has degrees from the Royal College of Surgeons in Ireland, University College Dublin Ireland and the University of California at Berkeley. 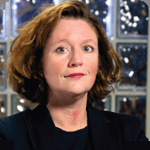 She has authored and co-authored over 30 papers, books and book chapters in the field and is an investigator on several funded research studies examining mental health outcomes and cognitive functioning. In honor of Heart Month, the webinar for the month of February featured renowned heart experts Drs. Marc Gillinov and Steven Nissen. Drs. 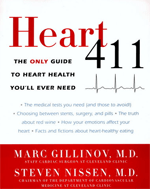 Nissen and Gillinov are authors of the new book Heart 411-The Only Guide to Heart Health You’ll Ever Need. The book has been described as the definitive guide to heart health from two of America’s most respected doctors at Cleveland Clinic, the leading hospital for heart health in America. Their book is a valuable resource for anyone interested in heart health that provides answers to common questions such as “Can a high stress job really lead to a heart attack?” and “What are the most important medical tests to run to check on heart health?” in an accessible way and provides useful health tips from which everyone can benefit.